This months event was Super Bowl / sports themed. We has crafts, games, and a snack. 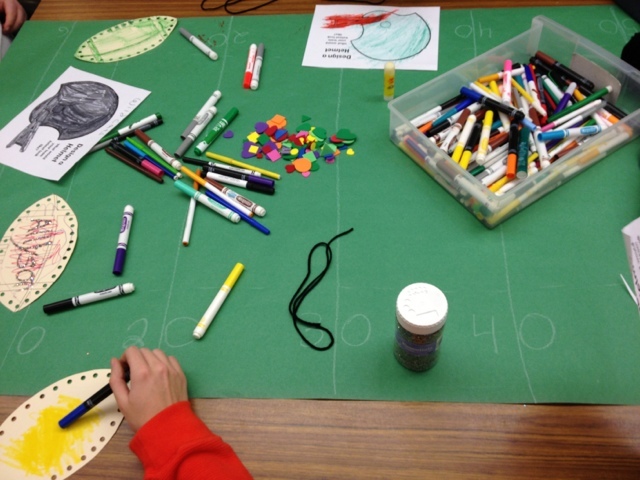 I added a green table runner that I drew yard lines on to look like a football field. I was feeling quite crafty with that! Not sure if any of the students even noticed, but it made me feel better. 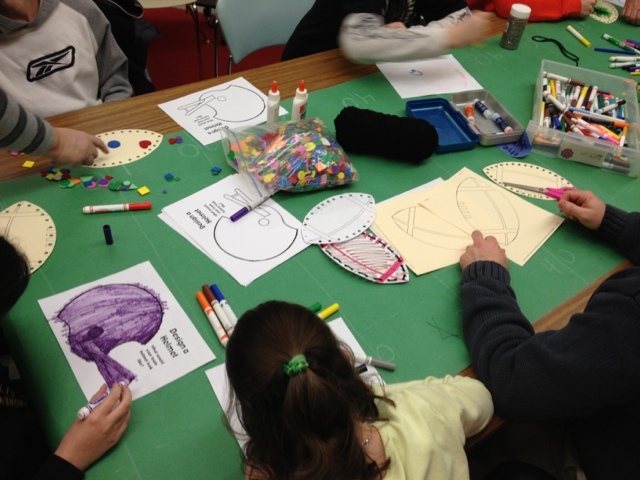 First, students had options to play catch with friends or do a craft. 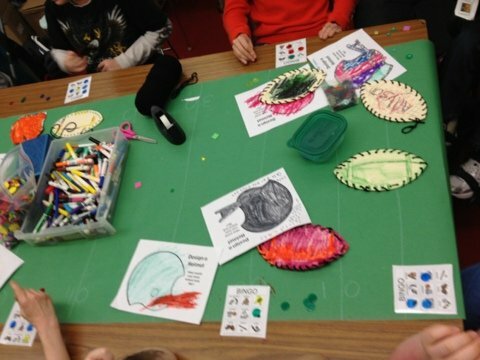 I had printed off footballs and had students work on those during work skills, cutting them out, and punching the holes so students could lace their footballs. 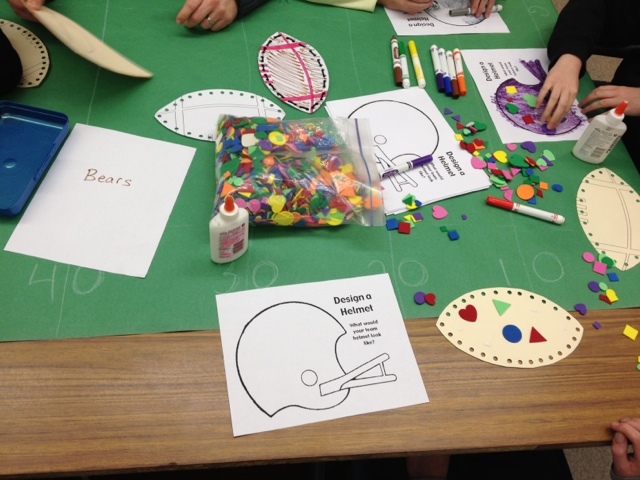 Then I printed off these Design a Helmet coloring sheets. Then we played a sports bingo game that I downloaded from Board Maker Share. I just changed a couple symbols because I'm assuming it was created in the UK and I didn't feel like explaining cricket or rugby! Then everyone got a cupcake to decorate and of course eat!! I had my math class make these cupcakes earlier, so they were nice and fresh. 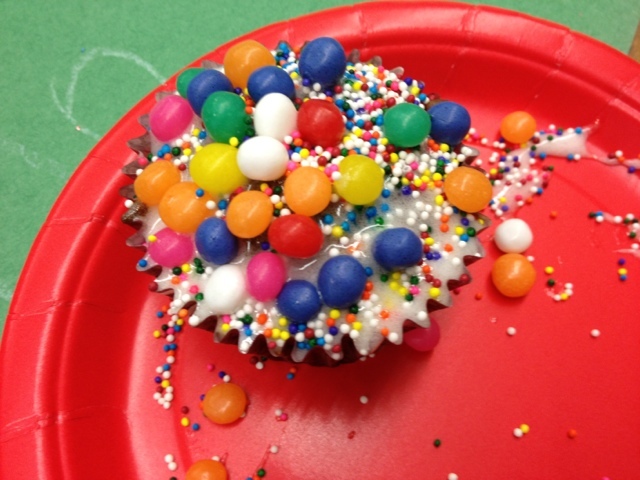 Some students went a little overboard with the sugar and sprinkles, but hey, as long as they were having fun, right? It went really well and I'm excited for our next event! Hey, I've have nominated you for the Liebster Award! 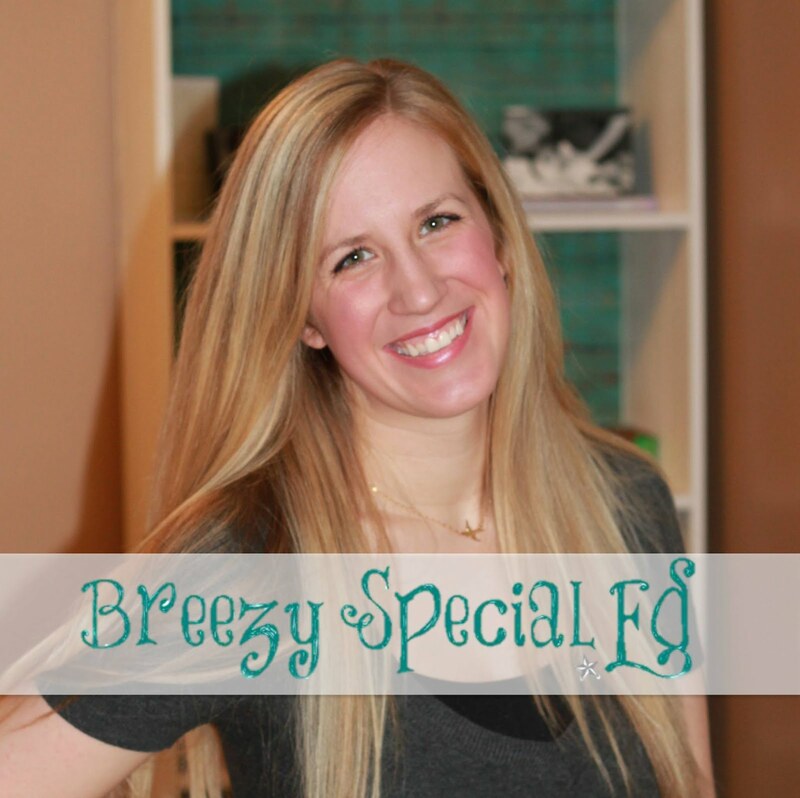 If you haven't already gotten / done this, check out my blog for all the details! So fun! I love the idea of the 'hangouts' and I love that you listen to today's hits lol!